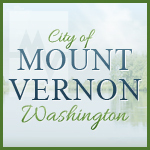 Mount Vernon City Library will be hosting members of Campbell Road for a free concert at the Library. Campbell Road is a Celtic band that mixes traditional Irish pub music with Scottish political rants, old English ballads, American bluegrass tunes, and the occasional Galician, Breton or Swedish influence. This is the final concert in the Library’s winter concert series, occurring the first three Mondays of December.